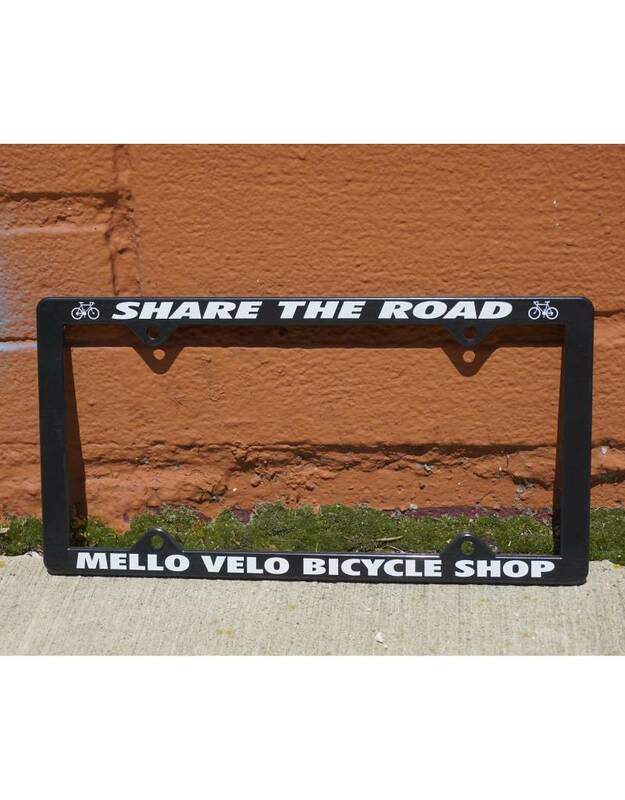 Custom Mello Velo Bicycle Shop license plate frame, "Share the Road." Fits all standard USA, Canada, Mexico, license plates measuring 12" x 6". Screws not included. 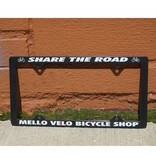 Color: black with white lettering.